April 16, 2018 -- Dynamic contrast-enhanced MRI (DCE-MRI) and diffusion-weighted imaging (DWI-MRI) each have advantages and disadvantages for assessing suspicious breast lesions. The optimal approach is multiparametric MRI (mpMRI) using both methods, according to a new study published online in Investigative Radiology. 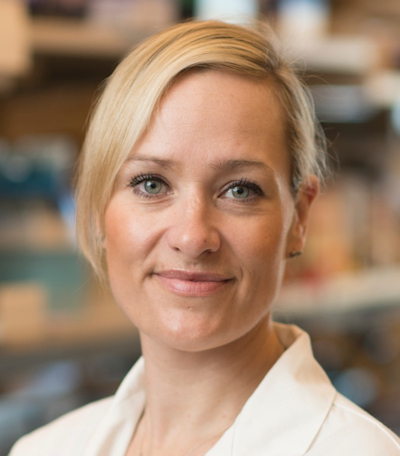 Researchers led by Dr. Katja Pinker, PhD, from Memorial Sloan Kettering Cancer Center and Medical University of Vienna evaluated the performance of DCE-MRI, DWI-MRI, and a combination of the two techniques as mpMRI in more than 100 patients. They found that mpMRI was the most effective option as it compensated for the deficiencies of each technique. "The problem with contrast-enhanced MRI is that we see everything, but there are cases where we cannot say whether [the lesion] is benign or malignant, which can cause unnecessary breast biopsy," Pinker said. "With diffusion-weighted imaging, we don't see everything, but when we can see it, we get very good information on whether the lesion is good or bad. So we need both. They work as a team." Dr. Katja Pinker, PhD, from Memorial Sloan Kettering Cancer Center and Medical University of Vienna. Contrast-enhanced MRI has come under scrutiny is recent years with the use of gadolinium-based contrast agents (GBCAs). Several studies have shown that minute traces of gadolinium can linger in the body long after the contrast has been injected. With breast MRI, however, contrast enhancement -- unless contraindicated -- is the standard option, according to Pinker. "The backbone of any breast MRI protocol is the contrast-enhanced T1-weighted sequence," she told AuntMinnie.com. "At the same time, we have routinely implemented diffusion-weighted imaging in our MRI protocol, as it increases the specificity." The two MR imaging techniques both offer benefits in cancer evaluation. DCE-MRI provides clinicians with information on cancer hallmarks, such as vascularity, to better characterize lesions. DWI assesses the disease by determining the uniformity of cancer cells through the restricted movement of water molecules between the cells. "We are looking at a different aspect of what cancer does; we get more information, but different information," Pinker explained. "We thought, how does diffusion-weighed imaging look alone, and can we actually dispense with contrast-enhanced MRI? Or do we really need a combination of both?" The study included 106 patients (mean age, 51.6 years; range: 21-86 years) who underwent mpMRI with T2-weighted imaging, DCE-MRI, and DWI-MRI between December 2010 and September 2014. Among the inclusion criteria, subjects must have had a suspicious finding on mammography or breast ultrasound, including an asymmetric density, breast mass, or microcalcification warranting additional imaging based on BI-RADS classification (Invest Radiol, April 3, 2018). All patients underwent breast MRI in the prone position on a Tim Trio 3-tesla scanner (Siemens Healthineers) with a four-channel breast coil. The DCE-MRI protocol included a standard dose (0.1 mmol/kg of body weight) of gadoterate meglumine (Dotarem, Guerbet) injected intravenously with a saline flush after injection. Total MRI examination time was approximately 12 to 16 minutes. Based on histopathological diagnoses, there were 69 malignant lesions (median, 20 mm; range: 6-100 mm) and 41 benign lesions (median, 16 mm; range: 8-100 mm) among the 106 patients. Four expert readers independently assessed DWI-MRI and DCE-MRI, as well as the techniques combined as multiparametric MRI. Pinker and colleagues found both benefits and deficiencies with DCE-MRI and DWI-MRI. When used together, the mpMRI approach achieved significant results. Multiparametric MRI was significantly more sensitive than DWI (p = 0.009), but its slightly lower sensitivity versus DCE-MRI was not statistically significant (p = 0.120). Regarding specificity, mpMRI was statistically comparable with DWI-MRI and statistically outperformed DCE-MRI (p = 0.009). For negative predictive value, mpMRI (p < 0.001) and DCE-MRI (p < 0.001) both proved statistically superior to DWI-MRI. Regarding diagnostic accuracy, mpMRI was similar to DCE-MRI, with both mpMRI (p = 0.023) and DCE-MRI (p = 0.002) statistically outpacing DWI-MRI. Invasive ductal carcinoma in the left breast of a 71-year-old woman. (A) On DCE-MRI, there is a 10-mm irregular-shaped, marginated lesion (arrow) with (B) initial fast/plateau enhancement. DCE-MRI findings were classified as suspicious for malignancy (BI-RADS 4). DWI was false-negative, as none of the readers called the lesion on DWI alone. However, when mpMRI combined DCE-MRI and DWI, readers identified a (C) hyperintense correlate (circle) with an (D) apparent diffusion coefficient (ADC) of 1.111 x 10-3 mm2/sec, which further confirmed malignancy. Images courtesy of Dr. Katja Pinker, PhD. In addition, DCE-MRI registered the most false positives, at 39, while DWI had a total of 50 false negatives. DWI also consistently missed lesions that were 12 mm or smaller. "There have been recent advances in techniques for diffusion-weighted imaging, especially with the controversy over gadolinium-based contrast agents," Pinker said. "The question is: Can we move to noncontrast MRI? Our study shows that we are not there yet to rely on diffusion-weighted imaging alone." So what are the chances of DWI perhaps someday replacing gadolinium-based contrast-enhanced MRI as an option for breast cancer? Pinker said she is a "big fan" of DWI, and she touted the fact that it adds only two to two and a half minutes to an MRI scan while providing additional information on a patient's condition. "Diffusion-weighted imaging is a technique that it is constantly improving with software and hardware getting better," she said. "Vendors have been working to eliminate much of the artifacts that were in diffusion-weighted images [in the past]. I personally think this will continue. Probably one day we will be able to do diffusion-weighted imaging alone, so I think the future is very bright."